You guys know how excited I get to find new and yummy M&Ms at the store!! Well, with that being said I was thrilled to see some White Chocolate Peppermint M&Ms at Target this week. I had to buy a few bags to try them out, and let me tell ya – they are AH-MAZING!! 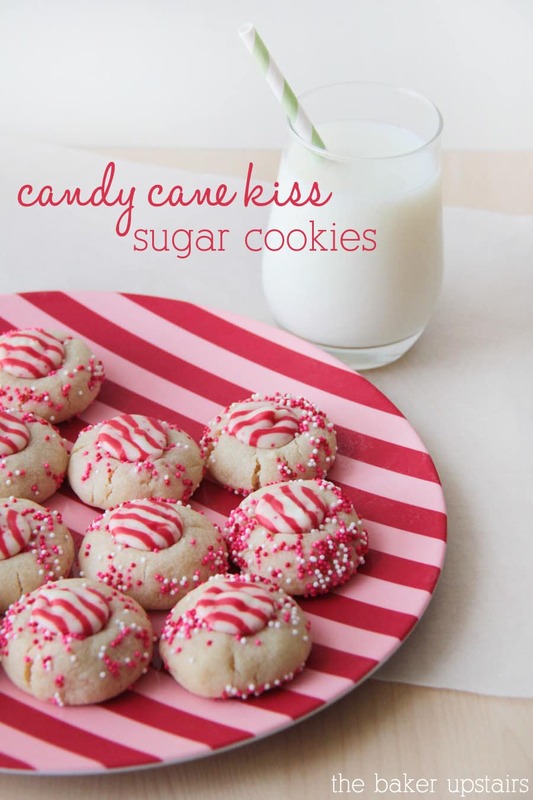 They remind me of the Candy Cane Hershey’s Kisses. 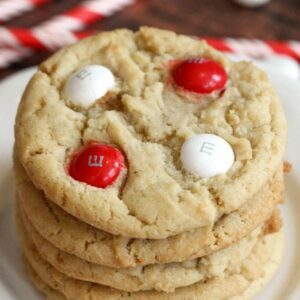 I had to try them out in some cookies, and of course they were a hit. 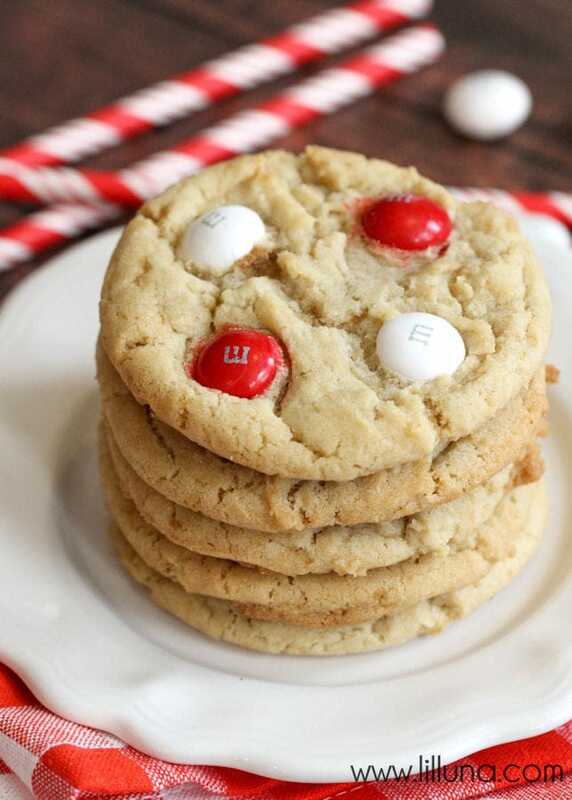 Soft and festive White Chocolate Peppermint M&M Cookies. 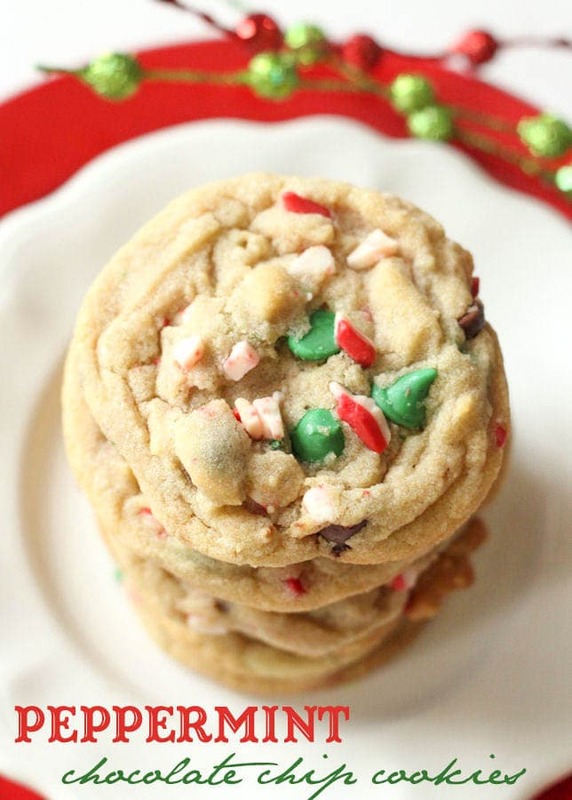 These cookies are delicious and filled with white chocolate chips and white chocolate peppermint m&m's!! Add dry ingredients as well as vanilla. Mix well. 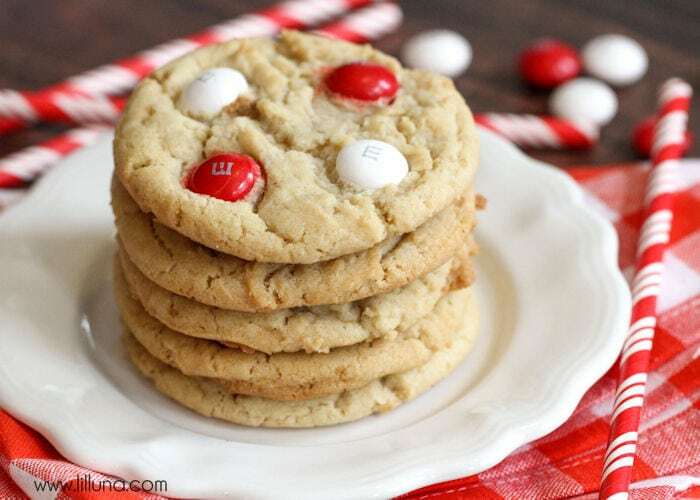 Add white chocolate chips and mix. Spoon onto greased cookie sheet. Add M&Ms. I did 4. Bake for 7-9 minutes. ENJOY! Keep these sweet treats in mind when you’re looking for an easy dessert for friends and neighbors in the next few weeks. And no worries… I’ll have a nice Cookie Round-up ready for you at the beginning of December to help out with all those cookie exchanges!! And for all Lil’ Luna Recipes go HERE. I thought I might see a recipe coming from you with those minty friends. 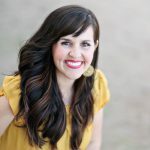 I just finished the bag I bought a few days ago after seeing LeighAnn from Your Homebased Mom share about them on Instagram, then I saw you talking about them. after I bought them. They are surely yummy! OMG I’m in looooove with these. I MUST find those M&Ms. these look fabulous!!! 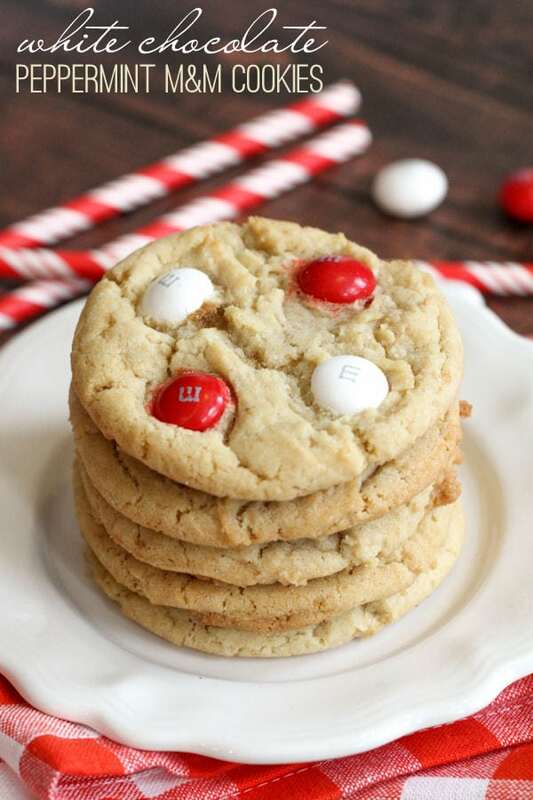 can’t wait to bake these! Oh Yummy! 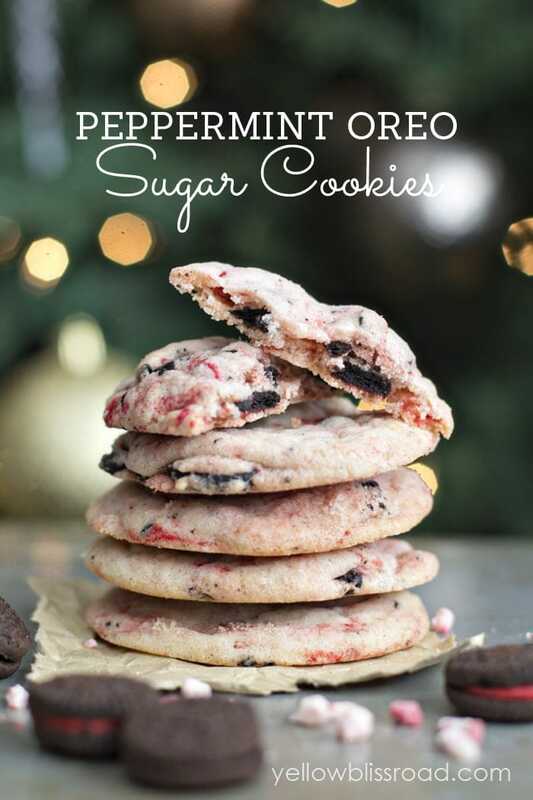 These cookies look absolutely fabulous!! 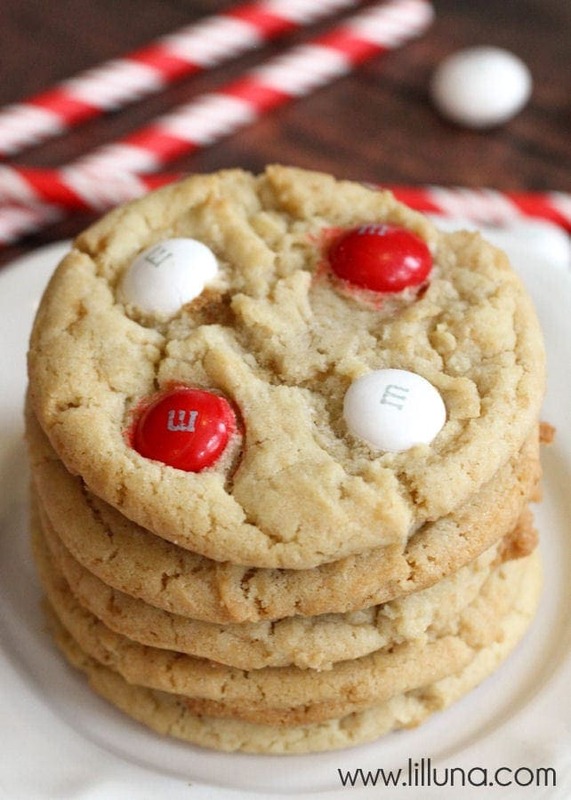 these cookies look GREAT! i will try them out asap!! !